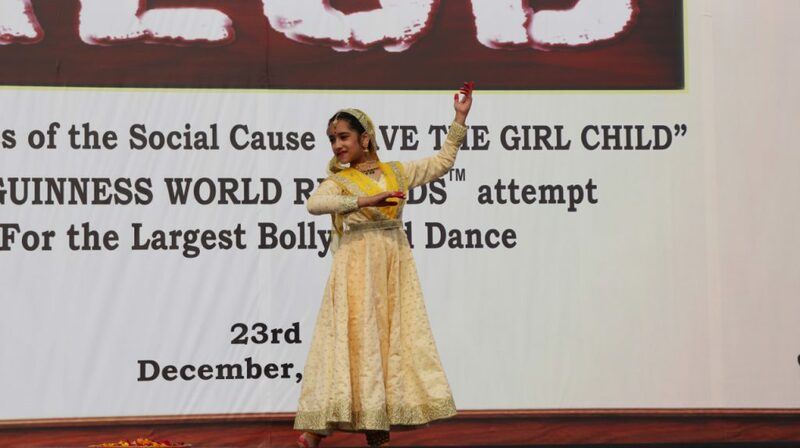 Mahira and Yuvraaj Katyal, the students of Modern School, Barakhamba road, gave a spectacular start to the event that broke the Guinness World Record of the maximum number of people performing dance under one roof. The event started with the beautiful dance performance on ‘Saraswati Vandana’ by Mahira Katyal, a student of Class 6. 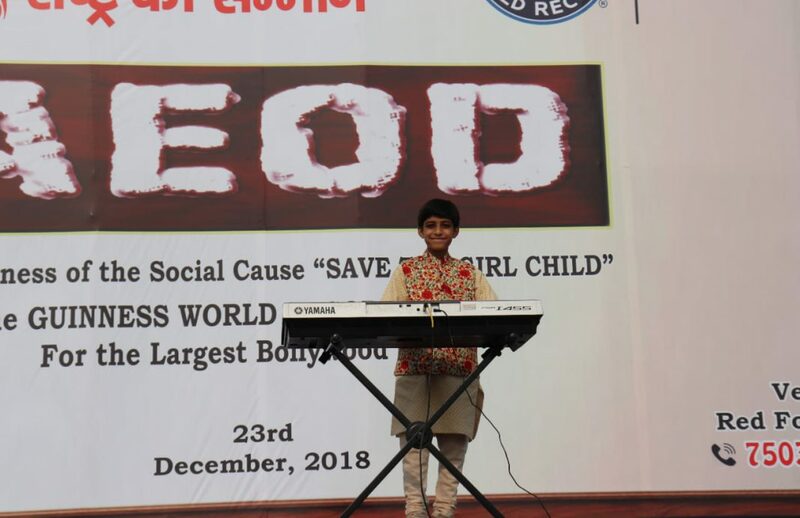 Yuvraaj Katyal, another student from the same school has also given a power-packed and impeccable performance wherein he played Vande Matram & National Anthem on his piano. The ‘AEOD’ event was organized by AAPS Pvt. Ltd with the aim to create awareness about the social cause “BETI KA MAAN, RASHTRA KA SAMMAN”. This mega event was powered by Across the Road Advertising & Events LLP who welcomed a brilliant crowd of 11,000 people at Red Fort on December 23rd. This event was ended with a melodious performance by Mahira katiyal, as she sang ‘YUVA NARI’, a song which was perfectly in sync with the event theme. Other associate partners of this event were Q&A, Sangeet Kala Kendra, WIGP, Bright outdoor, Hindustan Scout & Guide, Hover Robotics, Nevada Putman Foundation, Womenovator, Khalsa College.